Did you know you do not need to order a Bitcoin Debit Card, Ethereum Debit Card, Ripple Debit Card, Litecoin Debit Card, Dash Debit Card, Nem Xem Debit Card, Monero Debit Card from a 3rd party company? 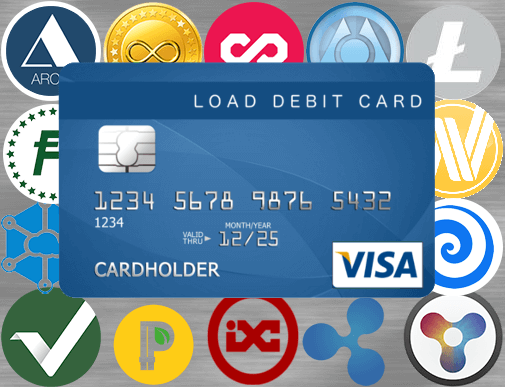 The Load Debit Card® platform can load the EXISTING Debit Card you have in your wallet using Bitcoin, Ethereum, Ripple, Litecoin, Dash, Nem Xem, or other Cryptocurrencies! Do you have Bitcoin, Ethereum, Ripple, Litecoin, Dash, Nem Xem, Monero and a Visa® or MasterCard® issued from your local bank, ANYWHERE in the world? If you do, the Load Debit Card® platform can assist you! We can load the Debit Card you currently have in your pocket, no matter where you purchased it from! Did you know you do not need to order a Bitcoin Debit Card, Ethereum Debit Card, Ripple Debit Card, Litecoin Debit Card, Dash Debit Card, Nem Xem Debit Card, Monero Debit Card from a 3rd party company? The Load Debit Card® platform can load the EXISTING Debit Card you have in your wallet using Bitcoin, Ethereum, Ripple, Litecoin, Dash, Nem Xem, Monero or other Cryptocurrencies! Do you have Bitcoin, Ethereum, Ripple, Litecoin, Dash, Nem Xem, Monero and a Visa® or MasterCard® issued from your local bank, ANYWHERE in the world? If you do, the Load Debit Card® platform can assist you! We can load the Debit Card you currently have in your pocket, no matter where you purchased it from! Using 60+ Cryptocurrencies, real time money transfers can be fast and secure. Whether you're sending money internationally or to a local account, we will get your money transferred in a very short amount of time. No more waiting forever for funds to get credited. Our transfers will reach the beneficiary super fast, anywhere in the world! Send a Bitcoin to SWIFT or Bitcoin to SEPA and transfer funds to your local bank account. Get started using Send International Payments! Send funds to your Bank Card, Prepaid Debit Card, or Debit Card, ANYWHERE in the world! We can load ANY Debit Card you have in your pocket that has a Visa® logo using Bitcoin, Ethereum, Ripple, Litecoin, Dash, Nem Xen, Monero or other Cryptocurrencies. Ready? Bitcoin Debit Card. Businesses: We have developed an APP that allows website owners to load any debit card from their own web page! Set your own commissions (get paid on every transaction, and percentages). Costs under a $1 a day to use. Get paid instantly via Bitcoin for every completed debit card load! You can load any existing debit card using 60+ cryptocurrencies! Live demo Business APP. Send funds to your Bank Card, Prepaid Debit Card, or Debit Card, ANYWHERE in the world! We can load ANY Debit Card you have in your pocket that has a MasterCard® logo using Bitcoin, Ethereum, Ripple, Litecoin, Dash, Nem Xem, Monero or other Cryptocurrencies. Read our FAQ before loading your card. Your banner here $50 a month, Contact us. 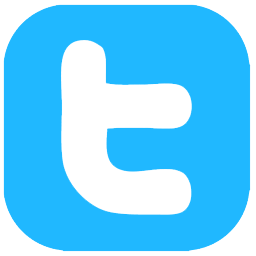 ©Loaddebitcard.com® All rights reserved. Owned and operated by Micro Startup Incorporated, a Seychelles International Business Company.